HealthCare.gov sign-ups lag by more than a half-million with less than a week left in the open enrollment period for 2019 coverage. Roughly 4.1 million people signed up for a health plan through the public health insurance exchanges in the first six weeks of open enrollment, the CMS said Wednesday. That's down 11.7% from sign-ups at the same point last year. About 930,000 people signed up for health coverage during the sixth week—the busiest week for sign-ups since enrollment began on Nov. 1, but still short of the 1.1 million people who selected a health plan in the sixth week last year. 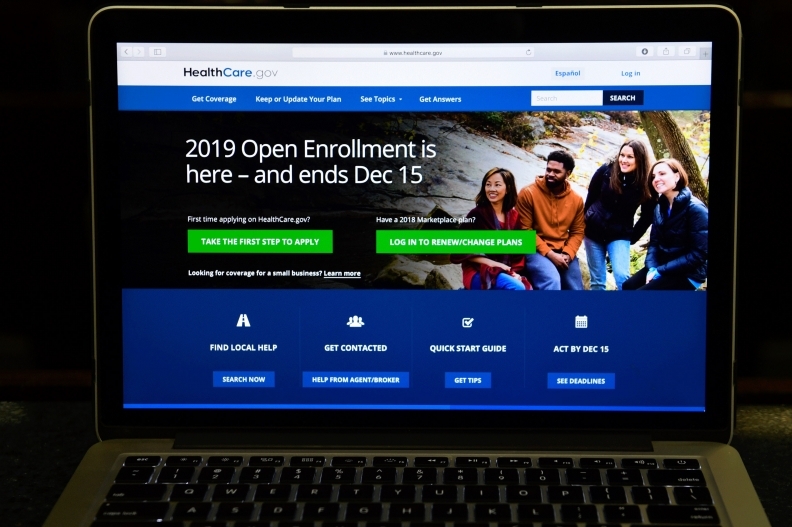 Open enrollment in states that use the HealthCare.gov federal exchange ends on Dec. 15, and while last-minute shoppers and a surge of auto-enrollments should boost the finally tally, enrollment is likely to fall short of last year. Lower enrollment could lead to future premium increases if fewer healthy individuals enroll to balance out the sick, high cost enrollees. There are a few reasons that likely explain why enrollment is trailing. A poll by the Kaiser Family Foundation shows that many Americans are unaware of the deadline to enroll in Affordable Care Act coverage. The federal government in the past two years slashed the marketing and outreach budget for the exchanges, while also reducing funds for navigators that educate and help people enroll in the ACA marketplace. The Trump administration expanded access to alternative forms of health insurance, including short-term health plans and association health plans that are likely attracting people who are healthy or who are not eligible for federal financial subsidies available to lower income people who enroll in exchange coverage. And in some states, such as New Jersey, the lowest-cost individual insurance plans are found off the ACA exchange, so it's likely that at least some people are enrolling in plans outside of the marketplace because it's a better deal for them. The CMS data does not show how many people are signing up for individual insurance off the exchange. Additionally, a report from the Sunlight Foundation released Tuesday showed that HHS made changes to the HealthCare.gov website about two weeks after open enrollment kicked off that the organization said could have caused confusion among shoppers and hampered their ability to find coverage. The Sunlight Foundation, which tracks changes to government websites, said a page on the website that previously listed five ways to apply for health insurance was edited to remove two of the options. The option to use HealthCare.gov was moved to the bottom of the list while options to get in touch with an agent or broker topped the new list.